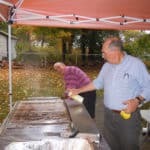 Each year in early October the Easton Lions host the Tom Hedrick Memorial Senior Cookout & BBQ at the Council on Aging on Barrows Street. 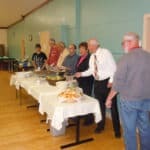 Because of Tom's years of entertaining seniors, The Easton Lions named our annual Senior Cookout & BBQ in the memory of Tom in 2013. 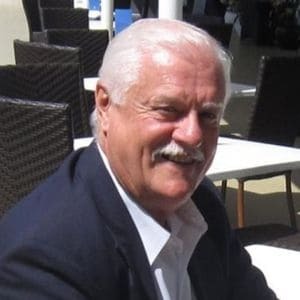 Thomas J. Hedrick, age 68, passed away on February 6, 2013. The Lions Eye Mobile will be available for free screenings from 1:00pm to 4:00pm outside the COA. 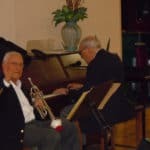 Frank Paul and company providing musical entertainment.